Stellar communication tools from NASA... and Gribetz too! "...NASA has finally re-established contact with a sun-watching probe that was thought to be lost in space after it abruptly went silent in 2014. A signal from the long-lost spacecraft, called STEREO-B, was detected Sunday evening (Aug. 21) by NASA..."
Technology can be amazing! Some at NASA had probably given up on the usefulness of this intergalactic research tool, but thanks to some diligent efforts of these scientists, Stereo-B probe may continue to provide extended service. Has it been a while since you were in touch with our online GSG Parts Website? Like the Stereo-B space probe, we're still here serving customers with great deals and convenient parts ordering. and see what you've been missing. Gribetz International has developed another communication tool to reach our Service Department for expedited service call action. You can enter your own Service Call info online to get the help process started sooner. Click here to enter your own service call online! Did you know Gribetz also offers new online access to Service & Maintenance features right on your quilting machine? You can even send live video-feed to the Gribetz staff to troubleshoot issues on the spot! Like I said, technology is amazing - and so is the Service staff at GSG. So don't lose contact - keep your equipment operating at peak performance by using these online tools for better responsiveness when you need help. PS - Don't forget you can always contact GSG here: www.gsgcompanies.com/contact as well! Is this guy to blame for the explosion of online mattress sales? Not entirely.... check out this video below and see why this Teknomac TK-381 roll-pack machine from Global Systems Group helps online mattress companies. Can it roll foams? Yes. Can it roll springs? Yes. Can it roll up to 3 per minute? Yes. Can you click here find out a whole bunch more? 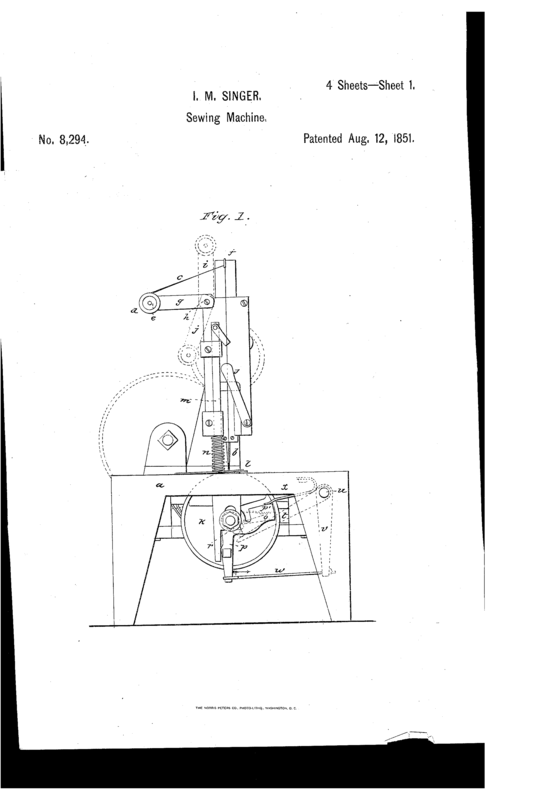 Isaac Singer was awarded a patent for his commercial sewing machine 165 years ago today! "...He was working in a machine-shop in Boston in 1851 when he was given a sewing machine to repair. Eleven days later he had constructed a better sewing machine, which he patented. He then set up I.M. Singer & Company with two backers named Zieber and Phelps to manufacture the machine. He took it on barnstorming tours, demonstrating it at fairs and in hired halls while giving heart-rending recitations of Thomas Hood’s ‘Song of the Shirt’..."
As you can see, he recognized a need for an improved process, worked on it, and developed a revolution for needle and thread. I must tip my hat to him for being a rather creative marketer as well! This is the same spirit of innovation that drives Global Systems Group to continue developing even more patented sewing technologies today. We recognize your needs for better mattress manufacturing and we get to work on it for you. 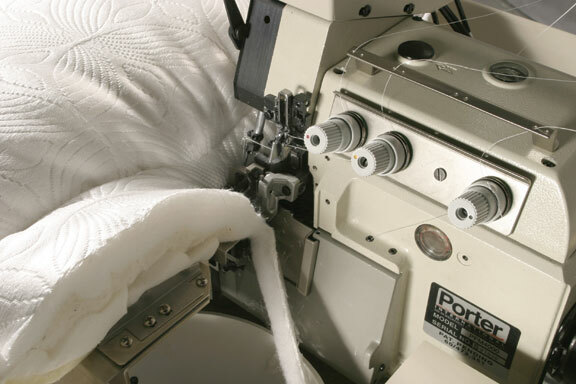 Click here to see some of our latest innovative technologies to aide your sewing room tasks and every other process in your mattress factory too. Thanks, Mr. Singer. You've been an inspiration to us all! That's how Tesla CEO and manufacturing poster-child, Elon Musk described his factory situation. How would you describe your own factory? Skeptics may view these comments from Musk as investor-friendly patter, but some mattress manufacturers may find themselves in similar conditions. Musk described his factory issues as they relate to production concerns for 2017 and 2018 targets, but you may have more urgent production problems. Fortunately, you have a single source that can assist in every area of a mattress factory: Global Systems Group. 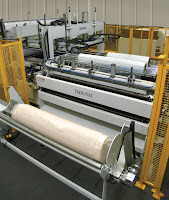 Whether you need a single machine upgrade or full factory development, GSG has the resources to make your mattress factory production more devine! ... full production automation, GSG can help. Elon Musk has a announced a plan to succeed with improved production plans in his factory. Contact GSG and let us help you develop a plan for your mattress factory.